Welcome! 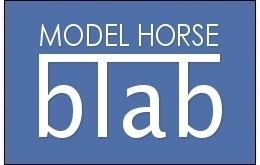 You have found Model Horse Blab, an online community for model horse hobbyists. Blab is a fun and open-minded community for hobbyists and anyone wanting information on model horses. We discuss all mediums and types of model horses, as well as a few other topics. Beginners and experts, all are welcome! Blab maintains the principle of respectful but honest expression of opinions, with the least possible moderator intervention. Members are expected to show tolerance for a wide diversity of views, on topics focusing on model horses and also ranging from pets to current events. Blab’s membership is primarily adult, although youth 13 and up are welcome. All members are expected to conduct themselves with maturity and poise. Please read the FAQs-Rules and click the Forums link to learn more. Unregistered viewers casually browsing Blab can read some of the forums, but cannot initiate posts. Several forums on Blab are not viewable to unregistered viewers, including the Youth Forum. Once registered, users have free access to all forums with * under the title. Forums without an asterisk are restricted to paid members. See the FAQs regarding Memberships for more information. Blab paid membership features your own Blog, Gallery space for uploading your photos, and use of Blab's Chat Room. Paid members can select their own colors for their Profile Page, use their own avatars (small pictures under the user’s name in their posts) and profile pictures, and other customizable ID features. Model Horse Blab was started in September of 2003, and today has over 1,000 active members from several countries. Blab discusses a wide range of hobby topics. Blab welcomes youth members 13 and up. Most members are adults, and often discuss adult topics in open forums. All members are expected to show maturity in adult conversations. Parents, please click here for more information. Blab has a Youth Forum where expectations are more relaxed and access is restricted to members 18 and under and a few adult mentors and staff. Members 18 and under also have access to all the free and/or paid forums, depending on their paid membership status. Please note that the free, all-access forum "General Off-Topic " attracts adult-oriented discussion. More egregious language is not allowed in youth-accessible forums, but light swearing is allowed. Parents are encouraged to browse the forums and decide what level of participation is appropriate. Requests for customized access are gladly granted – that is, permitting access only to certain forums. Please use the "Contact" link above. As noted above, Blab has over 1,000 actively visiting hobbyists, having grown apprx. 30% from 2008 to 2009. Blab offers advertisers an economical means to reach this target audience, through banner ads and occasional participation in special promotions. Please use the "Contact" link above. This site recognizes the privacy concerns of members and the importance of protecting personally identifiable information collected for site purposes. As a general policy, personal information required or voluntarily submitted is not used for other than internal management purposes. It is not shared with outside entities. Blab maintains reasonable and appropriate safeguards to ensure the security of such information. This site collects non-personal user information (for example, IP addresses.) An IP address is a number given to a user's computer by a Web Server. Examples of information provided by an IP address include service provider, type of browser and type of system used. This site may use this information to make the site better and more responsive to the user's needs. This non-personal information is not shared with third parties for marketing, advertising or research. An IP address is not used to obtain personal information. Revision Date: This document was last revised on Sep. 28, 2009. Copyright 2005 Model Horse Blab. All rights reserved.